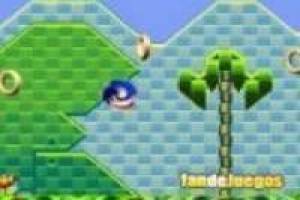 Sonic Crazy World is another fun game of the most famous Nintendo hedgehog. We will have to help Sonic in a new mission in which he will have to collect the rings and the energy spheres that will be released. All this while we travel a great road full of obstacles that we will have to dodge so as not to lose our energy. 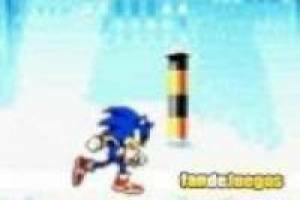 Use your mouse to make Sonic jump and move to collect the largest number of rings in that jump. Beware of giant balls that go on the ground and can hurt you. It reaches the end of the level with life to overcome it and to continue in the following. You have to go accumulating points to reach a great marker and try to beat it in the following games. 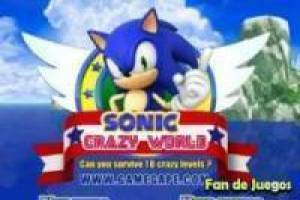 Enjoy the game Sonic crazy world, it's free, it's one of our sonic games we've selected.